It is used for maintenance of bicycle. It is used for cleaning etc. of the bicycle frame and parts of parts. We tried various things for baby and women's make-up etc at home center etc, but everything was soon becoming brittle and unsuitable for use. However this item is very easy to use because there is moderate hardness also at the tip of the head. In addition, because fibers are less fraying, it is not bothering with fiber waste. This review is about item#37175747. I am doing needle tip cleaning by blowing PANDO electronic equipment cleaner on swab. 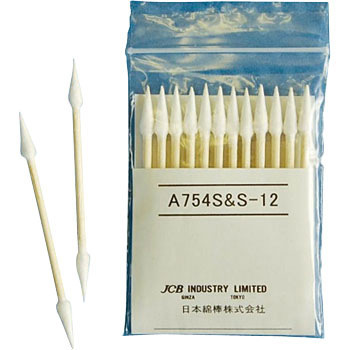 Because it is a cone shape type, it is not easy to use compared with the ordinary swab used to date. There is no possibility that the hair will break and get stuck at the tip of the needle. Ideal for needle tip cleaning. The ultrafine type is difficult to find in other companies, so it is so inexpensive that you can get it immediately, it is very handy in terms of quality.